Some builders just excel in a particular genre, and some own it. 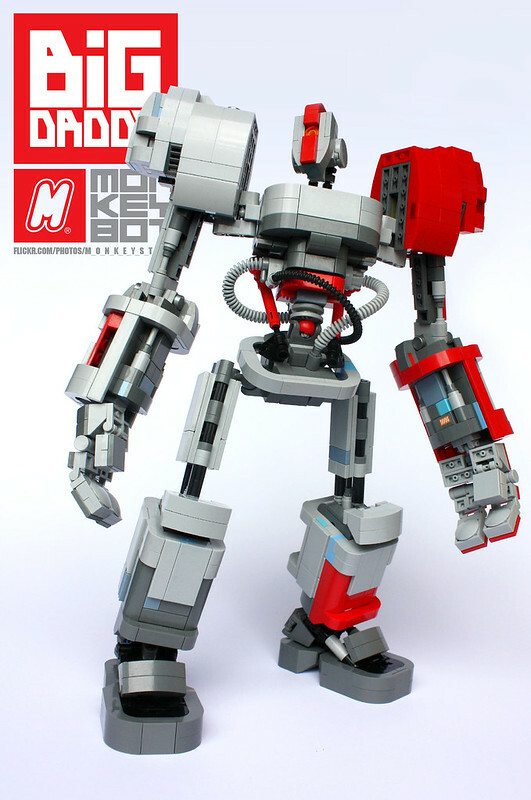 When it comes to large robotic figures, m_o_n_k_e_y is one of my favorite builders. 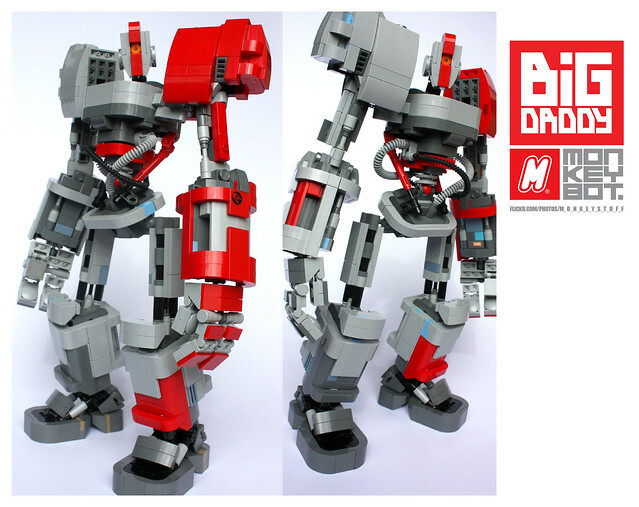 His latest creation, Big Daddy, is typical of his unique style. I love the color scheme, the simulated mechanics, the clean construction and the pose-ability of this one. And those feet are particularly stompy.